It’s the morning of April 3, 2019 in Orange County Superior Court, court room C-40. Prosecutor Noorul Hasan opens her closing arguments. She’s wearing a brown and black weave jacket. Her poignantly dark hair falls down her back to her shoulder blades, full and curled slightly under. Judge Patrick Donahue had just finished reading the jury instructions. He joked beforehand that he had to read them first before the two lawyers spoke, as the jurors would never be able to take them in otherwise. He sure had that right. His jury instructions went on and on interminably, almost numbing the mind. But with all that enormity of verbiage, one thing stood out. These 12 jurors were expected to be fully competent, wise judges. They were expected to use their common sense and reason. They were to judge who was a credible witness and who was not a credible witness. They were told if they thought a witness was lying in one instance, they could believe the witness in another moment, if ones judgment so dictated. They were to discern the complexities, and decide according to their own understandings. They had explained to them that they had all the power to decide. Prosecutor Noorul Hasan: I want to start off by thanking all of you. You were so attentive to the testimony. We can’t thank you enough for that. She explained that her co-counsel, Maelesa Street, couldn’t be there. Noor was on her own. In closing she wanted to discuss the charges. She would focus on the issues. The evidence of Jon Woods’ guilt. She was determined to show that Jon Woods is guilty beyond a reasonable doubt. Noorul Hasan spoke of the first count, which is the conspiracy count. She expressed that Carlos Arguello, the “marketer”, who hid behind a façade of a marketing agreement, delivered clients to Jon Woods for a set fee. Jon Woods, the defendant, allowed Carlos Arguello to deliver the clients for a set fee. Counts 2,3, and 4 were for accepting referrals with a reckless disregard. Counts 5 through 37 were for concealing and failing to disclose events affecting rights to payments. Noorul Hasan: A couple of points I wanted to make about conspiracy counts. What I wanted to emphasize… The crime is the conspiracy. The Legislature acknowledges there is success in numbers. It’s more likely to happen if you do something in numbers. Labor Code Section 3215 makes it a crime to refer with a consideration or an inducement. 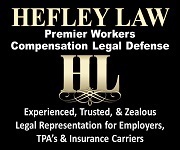 When treating injured workers, referrals have to be done in the best interest of the injured workers. The best interest cannot be for the financial gain of the vendors. Injured workers cannot be bought and sold. Noor Hasan: I’ll give you some money, you give me clients. The conspiracy was designed so everyone can bill insurance carriers. It was all about getting money out of the workers’ compensation system. Noorul Hasan would give her arguments throughout the whole day. Defense attorney Richard Wynn, in his vibrant lavender shirt, would have to wait until the next day. Noorul got delayed about ten minutes after the lunch break because Wynn forgot his jacket in his car and returned to court with his beautiful lavender shirt in full view. The judge told him to go back and get his jacket. It seems he has a dress code. Noor Hasan told the jury there are overt acts in general. Six overt acts. Noorul Hasan: Each and every one has been established by the evidence. You only have to find one… beyond a reasonable doubt. And for each of you, it doesn’t have to be the same one. Noor told the jury the defendant, Jon Woods, allowed Carlos Arguello a minimum number of clients for a fee. Then Woods sent copy service orders to companies controlled by Arguello. The copy service company moved into Woods’ office and sent out subpoena orders to every possible location for records, not just requesting records that were missing or necessary. The copy service launched into overkill and overdrive. There was manic billing to the insurance payers. The copy service, controlled by Carlos Arguello and which included co-conspirator Edgar Gonzales, paid for scanning service, storage, shredding, and filing for Jon Woods. These kinds of inducements are violations of Labor Code 3215. 35 years ago, it was common practice for defense attorneys courting workers’ compensation claims adjusters for cases to take adjusters out to lunch regularly and frequently. There were also lavish parties thrown by defense firms over the holiday season. Claims professionals were openly invited. People got dressed up to the nines and partied. Then, the party was over. The insurance companies did not want their claims people choosing the law firms that best wined and dined their adjusters. 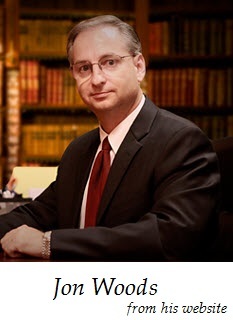 They wanted adjusters and their management to choose the best legal services. So, the lunches became prohibited. In a similar spirit, the Legislature wrote law to stop all considerations and inducements. The best interest of the injured worker became what was to be considered above all else. No bill could be paid by the insurance payer if it was discovered that there was an inducement or consideration behind the service provided. It became illegal. Noorul emphasized that the issue centers around billing the insurance carrier. The Legislature for decades has been enacting laws that protect the interest of the injured worker and the payer. The defendant, Jon Woods, accepted clients from Carlos Arguello and his Centro Legal and other monikers. Because they all billed insurance carriers. The occurrence of events were concealed. That there were kick-backs, inducements, and considerations were not communicated. Thus, the insurance payers were defrauded. Jon Woods and his co-participants knowingly failed to disclose. Noorul Hasan explained the enhancement, which was on counts 5-37. There was that enhancement because Jon Woods had caused the loss to exceed $500,000. The actual loss was over $700,000.